Anti-Semitic incidents account for more than half of hate crimes in NYC in 2017. 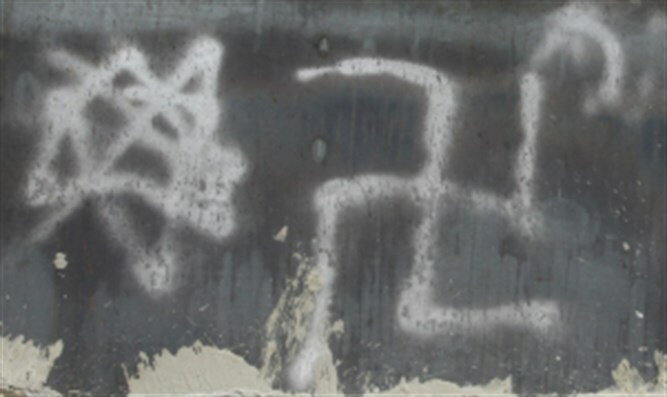 JTA - Anti-Semitic incidents are up 94 percent in New York City over this time last year, the New York Police Department reported. The figure is part of a 55 percent increase overall in the number of hate crimes in the city as compared to the same time last year. Through the first two months of this year, 35 anti-Semitic incidents have been reported, compared to 18 through February 2016. Overall, the total number of hate crime incidents in the city for the first two months of 2017 is 68, up from 44 last year, according to the NYPD. Among the incidents, six people were targeted for being black, three for being Muslim and eight for their sexual orientation. “Hate crimes are up in this city. They’re driven primarily by anti-Semitic hate crimes,” Chief of Detectives Robert Boyce said at a news conference Wednesday, according to reports. Patrols have been added near Jewish community centers and synagogues in response to the increased anti-Semitic hate crimes, according to DNAInfo. The patrols will increase even more as Passover nears in April, the NYPD said.